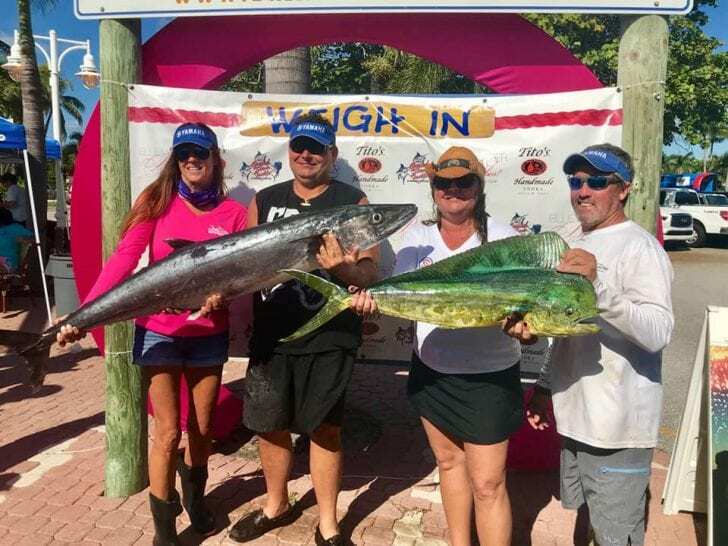 The 10th Annual Bluewater Babes Fish for a Cure Tournament held October 5 and 6 was an event for the record books and ended with a bang – literally! 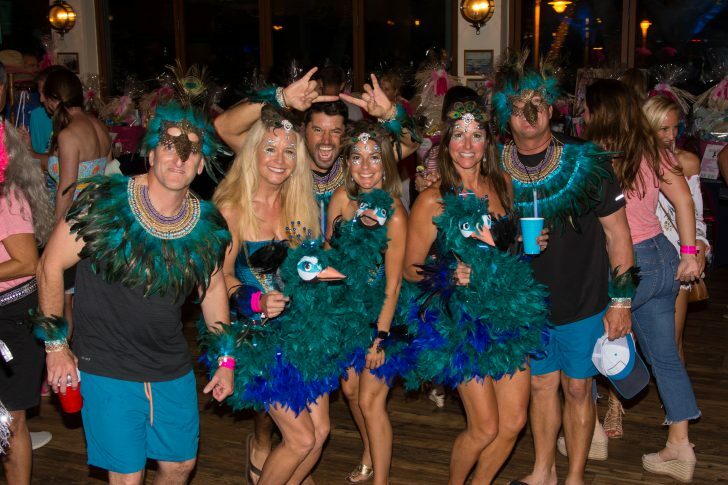 More than 110 boats and 1,500 people participated in festivities throughout the weekend that included the Tito’s Handmade Vodka cocktail contest on Friday night, incredible costumes and more than 60 decorated boats adorning the docks at Sailfish Marina Resort. The fun continued with an epic inlet water fight Saturday morning, Family Funday during the Weigh in Saturday afternoon and a touching award presentation Saturday night featuring Kathy Black receiving the Kristin Hoke Memorial Trophy. And to top it off – the weekend concluded with a breathtaking fireworks show over the waters off Peanut Island. Bluewater Babes Fish for a Cure has donated more than $600,000 to local women battling breast or ovarian cancer since its inception in 2009. For more information or to donate, please visit www.bluewaterbabes.org.